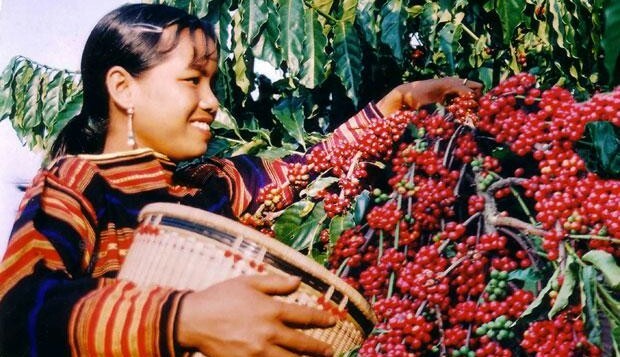 Vietnam is the fifth most recognised coffee producing country in the US – the world’s largest coffee consuming market, according to a recent survey by the National Coffee Association of USA, cited by the Colombian Coffee Growers Federation (FNC). The survey found that 16 percent of the US’s population name the Southeast Asian country when hearing the words “coffee-producing”. Colombia tops the list as 85 percent of the surveyed people recognise it as a coffee maker. It is followed by Brazil (67 percent), Costa Rica (59 percent), and Kenya (33 percent). In January, Vietnam exported an estimated 100,000 tonnes of coffee, earning a turnover of more than 200 million USD. The exports represented a year-on-year decrease of 28.9 percent in volume and 23.6 percent in value, according to the country’s Agriculture and Rural Development Ministry. The country is currently the world’s leading exporter of robusta coffee. Last year, it earned 3.62 billion USD from shipping 1.73 million tonnes of coffee abroad, up 33.4 percent in volume and 32.2 percent in value. Germany and the US remained the two largest importers of Vietnamese coffee in 2014, accounting for 14.13 percent and 10.17 percent respectively of the country’s total coffee export turnover.